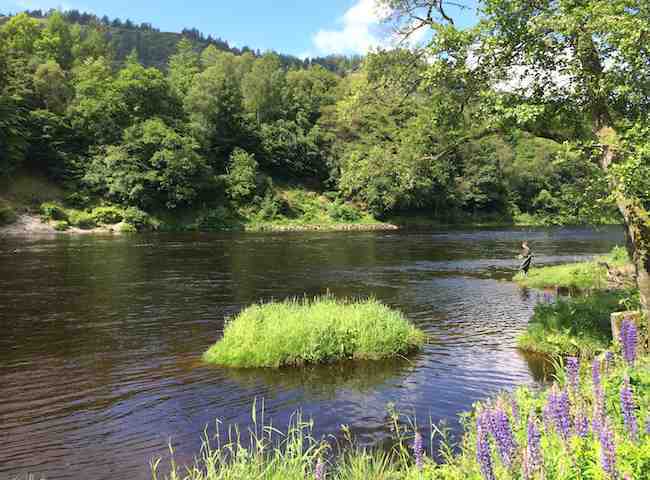 Here's a shot from the River Tay showing a group salmon fishing tuition session. 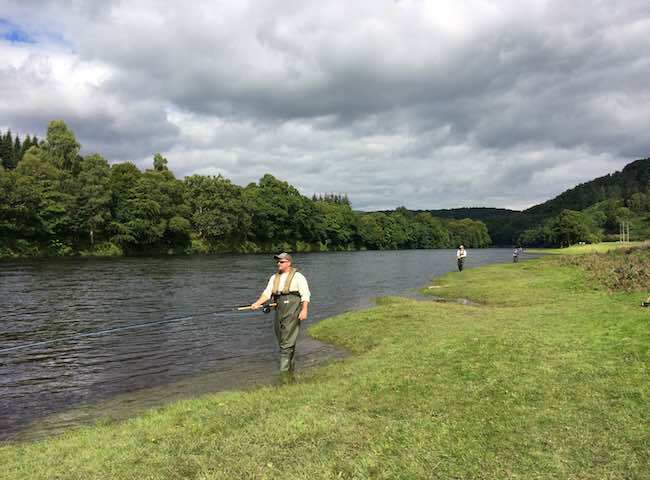 Our salmon fishing event days all commence with an introduction to different salmon fishing tactics. 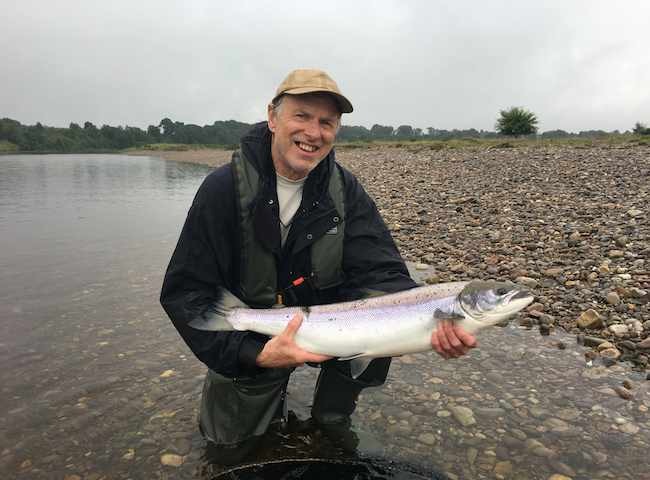 This beautiful Tay salmon was landed by this fortunate guest on Saturday and is typical of the caliber of fish that's currently running this famous Scottish river. 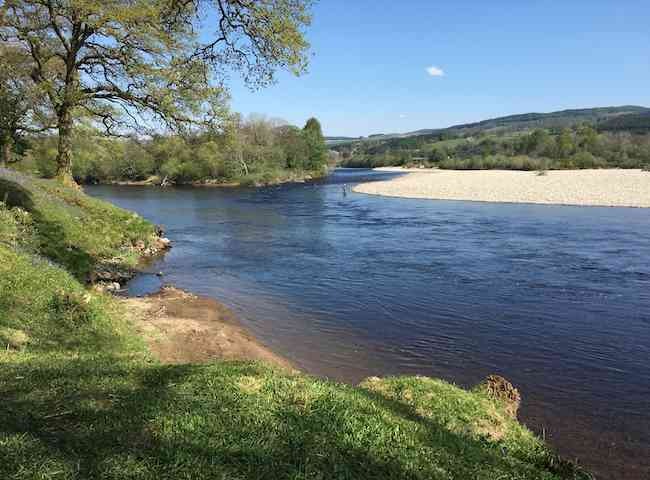 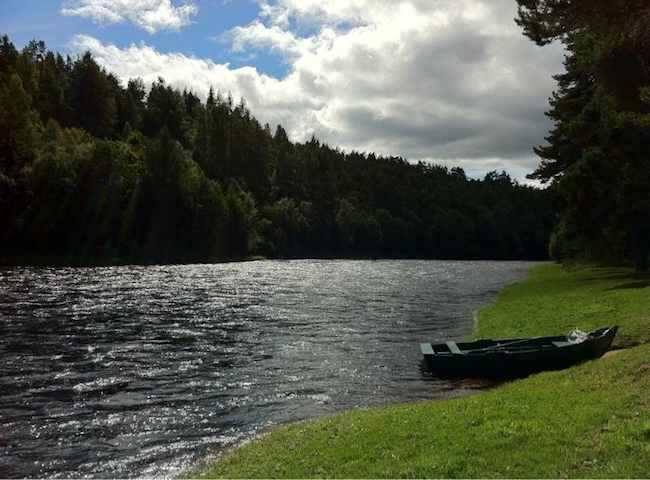 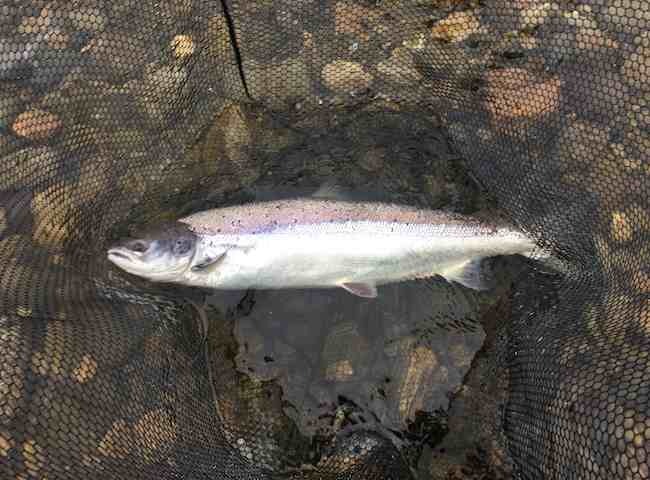 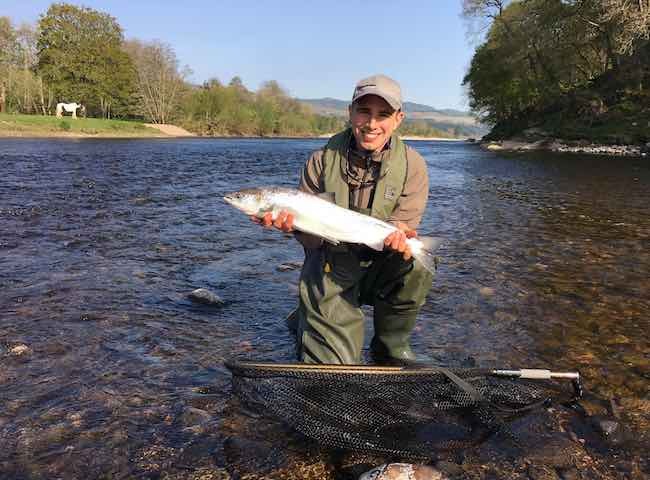 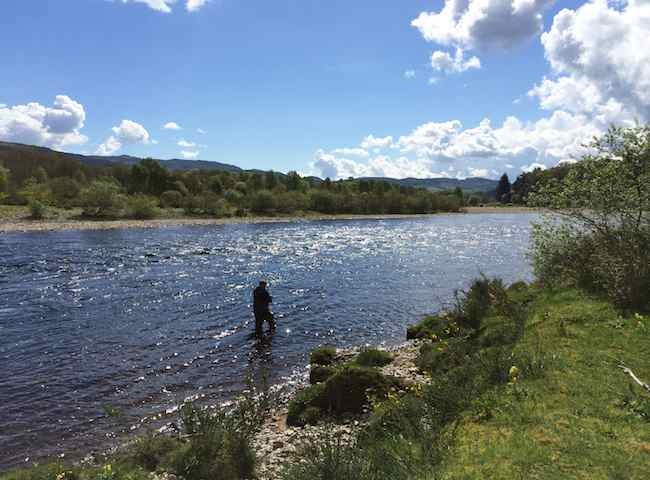 This sheer beauty is enough in its own right to totally captivate your business colleagues aside from all the other professional services that makes up a River Tay salmon fishing event day. 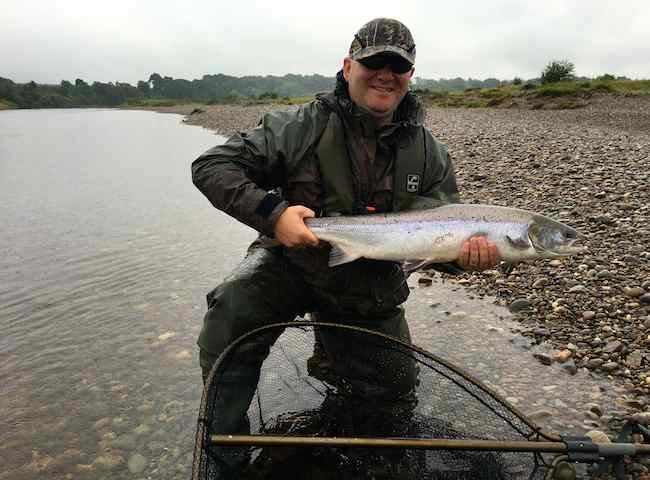 Here's the type of smile an encounter with one of God's finest fish creates. 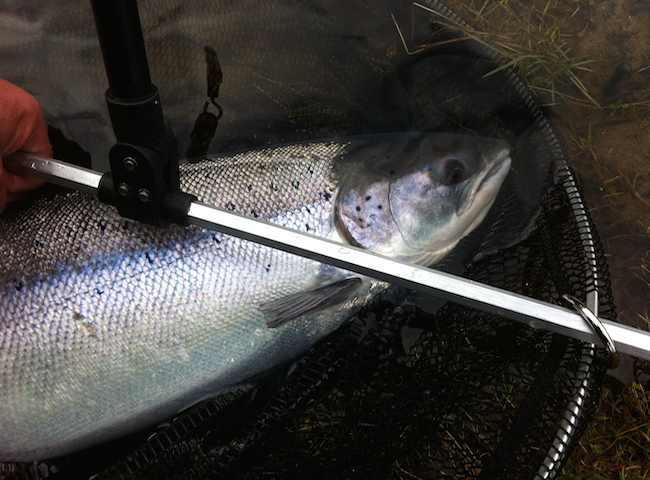 Come and experience the power & beauty of the Tay's perfect salmon for yourself. 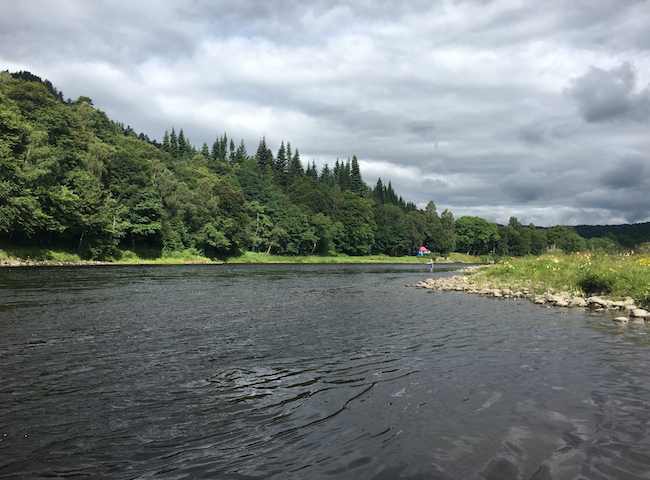 You couldn't find a more peaceful or natural setting in Scotland than being on the banks of the River Tay in pursuit of a wild salmon.